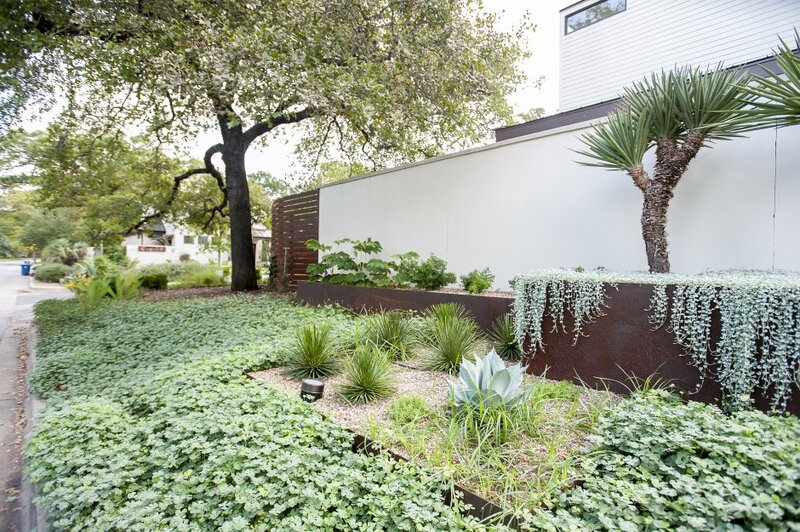 Softening the edges and shifting the eye from an existing large stucco wall that dominated the front yard was the main objective in this design. 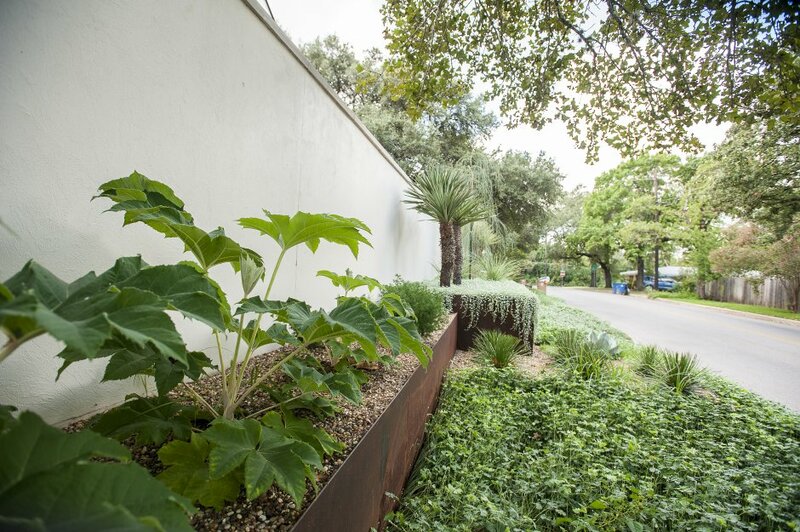 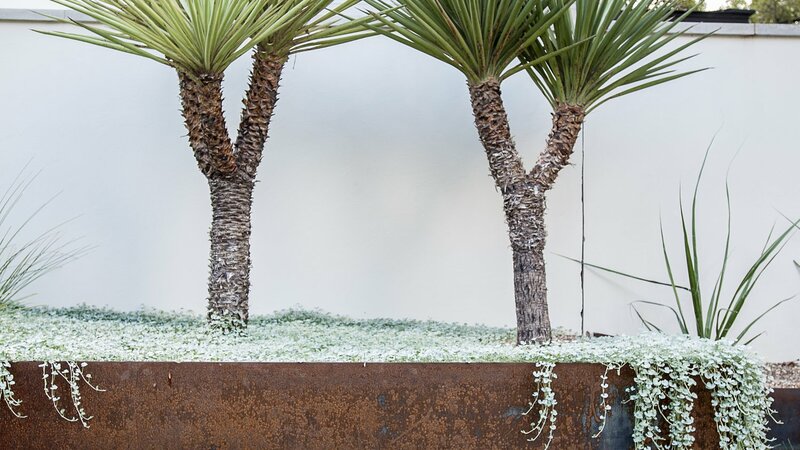 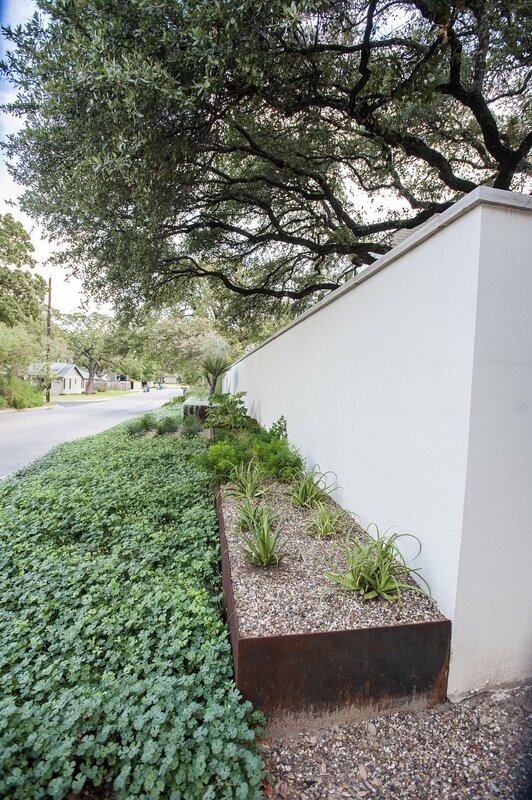 Large, custom, steel planters step down to the street in varying layers. 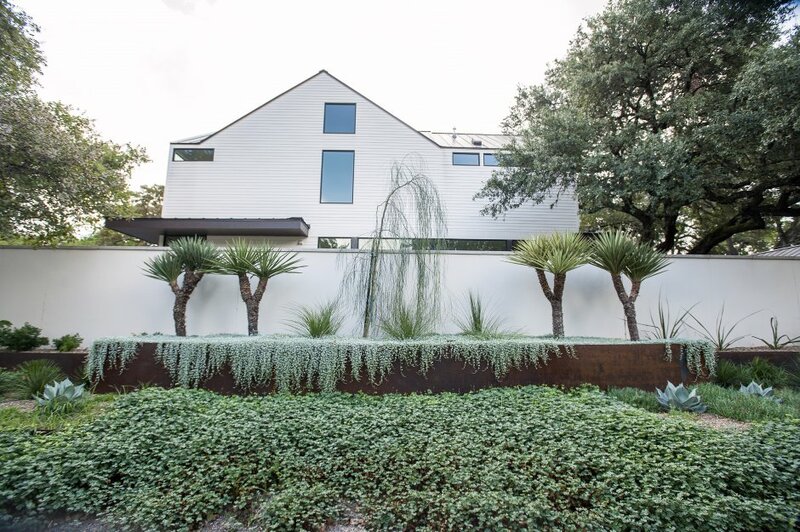 Low water plants, that were both architectural and provided an array of textures help draw the eye to the foreground. 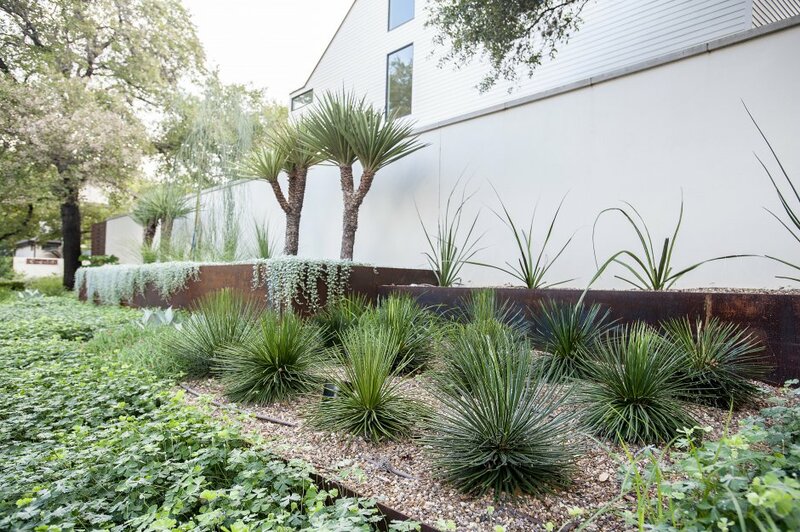 The trunking yucca and agave mixed with the soft clover fern for ground cover creating a perfect balance.